Is this an easy way to avoid burnout? I have a very strict code on how I conduct myself at work. Im not talking about my patient care or how I present myself to those who call 999 and get me turning up at their door. This time, its all about how you can have a positive outlook on your job itself and the stresses that you put yourself under for no reason. There are some things in our line of work that we cannot avoid, Splashed sadness being the most obvious ( I still think that is one of the best, most descriptive words I have ever heard in EMS – Kudos to Mr Kaiser! ), but just for a moment, stop and take a look at yourself and your partner ( or ask yourself the same question even if you are in an entirely different profession) and think of how many times you get angry with control/dispatch or those that manage you? Sure, I get wound up every now and then when things seem to be going all wrong and you get sent from pillar to post with no obvious reason. Yes, I get frustrated when I am asleep on my feet in the middle of a stint of night shifts and just when I get into the recliner on station I am sent out to go on standby to another station where those staff are resting whilst on their breaks. Sometimes I will grumble on in the vehicle and very very rarely I will question control directly about there decision. However, 99.9% of the time I will just do as I am told. I have wrote about this before, but it comes to mind again as the time of year approaches that we in the UK like to call “the winter pressures”. Calls are already drastically on the increase, there is less and less time to be scraped on station and the late finishes are really starting to mount up. Tempers get frayed and frustrations start to rear their heads and in the vast majority of cases they are directed at those who press the keys and send the jobs from control. Sometimes when I am on the ambulance its almost like a yin & yang experience in the cab. My mate will be cursing and shouting at the radio as we are turned around and sent in the opposite direction from the job that we were heading too, for the second time in a row, whilst I just sit and say ‘no problem’ on the radio. The discussion follows as he rants about how control dont know what they are talking about and dont have a clue about where we are and how there MUST be a closer vehicle than us. We are constantly striving to meet our government response time targets and the computers in control automatically flag up the available crews that are close to an outstanding journey. They will also display the approximate e.t.a for all the vehicles and will suggest the most appropriate response in rank of time to scene. Now, I am not so niaeve that I dont understand that sometimes control may not allocate the closest vehicle every single time. There will be situations where the call is a non life threatening one and we have 18 mins to get to scene. If I am 10 minutes away and there is another crew 8 minutes away, but they havent had a break for the last 6 hours then quite frankly I would hope that the allocator would be willing to send us instead of them. Thats not to say that control get it right all of the time, after all, no one is perfect right? What frustrates me more than anything that control can do, is when I see colleagues ‘losing it’ because of how we are dispatched, where we are travelling to, the type of job we are going to, or even the late jobs. Like I said, I get frustrated too. Please dont assume that I dont get annoyed at times, but the big difference is that I dont let it spoil my day. I dont get angry and I certainly dont take it out on anyone else. Lets all remember that we knew what we were getting into when we took on this job. If you say that you didnt know, then maybe you should have researched your career choice a little more before you signed on the dotted line. Sometimes it is our own outlook that makes the day tough for us. If I am on my normal shift, I am at work for 12 hours. 11 of those are paid for. That extra hour is for my breaks (unpaid). As far as I am concerned, control can do with me what they like. You pay me for 11 hours, I will work for 11 hours, and for the vast majority of the time I will have a big smile on my face and will be happy that I am one of the fortunate ones who are lucky enough to be in this career. « My Fan Boy Moment! I went and spent an off day with our call takers and control room staff, have to say I have the utmost respect for them as I couldn’t do that job, not even for one shift let alone a career!! I have spent just a few hours in our control room and can empathise with how hard their job is. At the end of the day, as road staff, we can only do one job at a time, we dont have to concern ourselves with the multitude of outstanding calls and no resources to send, which I am sure happens fairly frequently! As someone who has been both a volunteer firefighter & also at the other end of the radio as a radio operator & a supervisor with the same service, I can understand what happens at both ends of the radio. Apart from my own centre and others in my service, I have also been to other centres here in Australia & in the US to see how things are done there in Paramedic only, Fire only, Fire/EMS, Fire/EMS/Police & Police/law enforcement only centres. Contrary to what many emergency service workers might think who have never been into a control centre for an extended period (not just a quick 5 minute visit), generally the control centre staff are not aiming to screw the people on the street around. They have a job to do just like you do & the majority of people I have worked with in control centres are dedicated to their jobs. They are not sitting there watching the screen trying to control where Medic 999 goes and see him drive all over his turf in circles for their own amusement. In my current centre, we still dispatch fire trucks without the aid of a CAD system so I have to rely on the person in their truck to tell me where they are. In other systems, it is basically CAD that makes the decisions based on your location & the location of the call. If anyone on the street feels like yelling at the person on the other end of the radio, yell at your radio handset but don’t transmit. Most operators I know won’t (nor should they) “argue the toss” with you over the radio. Of course, you have to take your protocols into consideration. If there is an immediate safety concern by all means raise it calmly. Yelling or otherwise losing control doesn’t do anyone any good. If you think you’ve been done hard done by, follow the chain of command. 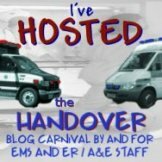 Finally if anyone is interested, an excellent dispatchers blog was Nee Naw at http://www.neenaw.co.uk – the site is no longer being updated but there’s an extensive archive of serious & not so serious experiences of an LAS dispatcher. Thanks for the comments and the view point from the other side of the radio! I am recording an episode of Ambulance Matters tonight but am looking at the next episode being a discussion on the ‘Us and Them’ relationship between control and operational crews. I would love to have you on to share your side if you would be willing? More than happy to, Mark! Whole heartedly agree with this, it is all in personal mind set. When we accepted a position of employment we should have had an idea of what it takes to do this job. We work for the set hours we have and sometimes get stuck on a late call. On the flip side there are times we may hardly ever turn a wheel and times we run nonstop with no breaks (in the states any ways). I find the ones who show signs of burn out with this type of frustration are the ones who complain about being bored when not doing a single call either. I think we should be greatful that we are employeed these days in a career field that seems to be increasing call volume. Thanks for making this post Mark. There is definite a them and us in the Ambulance service when it comes to call takers/dispatch/crew. I’ve been on the other end of the phone from an unhappy paramedic sent on a ‘questionable job’ and it’s pretty frustrating because whilst I can see their point, I’m not sure they can see mine. I really do think that the Ambulance service would benefit from their workers spending a little time in each others company. I remember my first day at ambulance training school. By morning tea time, one person had resigned because “he didn’t know there was going to be shift work involved”…. WTF? At least he bailed then rather than being a cynical grump for the next 10 years. Very well written Mark! It is definitley that time of year here as well and I have found my nerves starting to fray as it is ‘feast or famine’ at the hospital. Some days I work an extra 4 hours, making it to my school classes an hour late, other days I get called off because they’d rather have 2 nurses than one nurse and an EMT. Thank you for saying what we all needed to hear! I think attitude certainly is a factor in burnout and having a good one will have a positive effect. But I think bad attitude may be just a symptom in a larger problem. You all know the story in EMS, overworked, grossly underpaid, short-staffed stations, increasing call volumes, workplace injuries, limited benefits, etc… all among the normal stress of dealing with the sick and injured (and their sometimes pain-in-the-neck friends and family). Add in the personal problems that everyone faces (you know, mounting bills, relationship troubles, a leaky roof etc) and you have a veritable pressure cooker. Over the years, some people are bound to develop a bad attitude. I’m not trying to make an excuse for those who take it out on others…because that is unacceptable. But, if we truly want to see an overall decrease in burnout, we should focus on some of the root factors. My suggestion for a start would be reducing shift length. In my area, it is common for people to work 24 and 36 hour shifts. The call volume is ever increasing and there is little time for any meaningful rest. At the end of the 24 hours shift, everyone’s fuse is about gone, throw in some mandated overtime at the end of the shift and its a recipe for an explosion. Not only does this time without meaningful rest affect our own well being (mentally and physically) it affects the well being of those we share the roads with, those we are supposed to be helping etc. There are limits on many professions as to time someone can work for without meaningful rest…for example truckers and airline pilots. Note I say “meaningful rest”, a 5 min nap on the cot while posting in ambulance isn’t particularly helpful. Perhaps for busy areas a 12 hr shift limit would be in order. I find that when I work 12 hour shifts my overall attitude is much better than on 24 or 36 in a busy station. I do agree with your article that a good attitude will make a difference, but perhaps we should go further to address some of the things that cause people to develop unhealthy attitudes.